1st Cycle Ring-billeds all photographed on 21 April 2014. Hammond, Indiana. 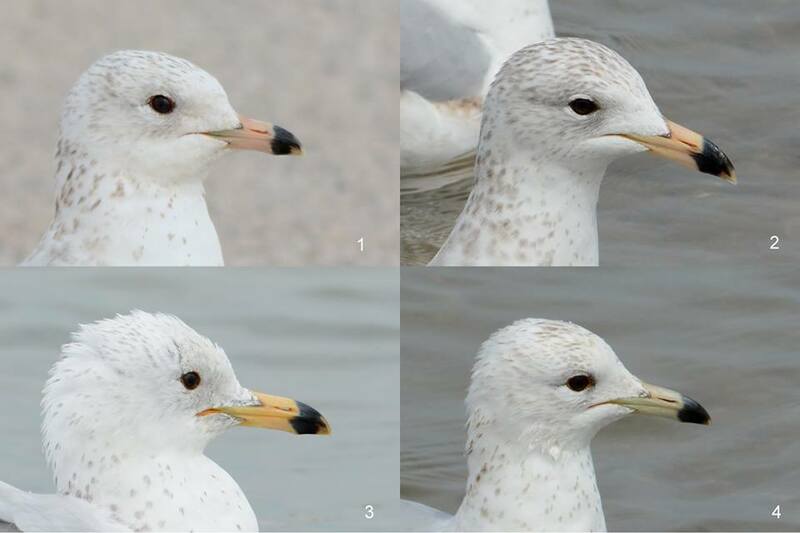 Bird #1 is what HY birds typically look like, and bird #4 looks more like a second cycle's bill. It makes perfect sense that bill color would begin transitioning to a yellow at this time of the year, when hormonal levels peak.